Disney Days Of Past: Remember ‘Oliver & Company’? Are you a cat owner? Did you hug your cat today? If not, there’s still time as it’s National Hug Your Cat Day. (I can’t make this stuff up.) There are quite a few Disney cats you could hug, but today we’ll celebrate Oliver from Walt Disney Pictures’ “Oliver & Company.” Here is Oliver with Jenny, Dodger, Tito and Georgette at Magic Kingdom Park in 1988. 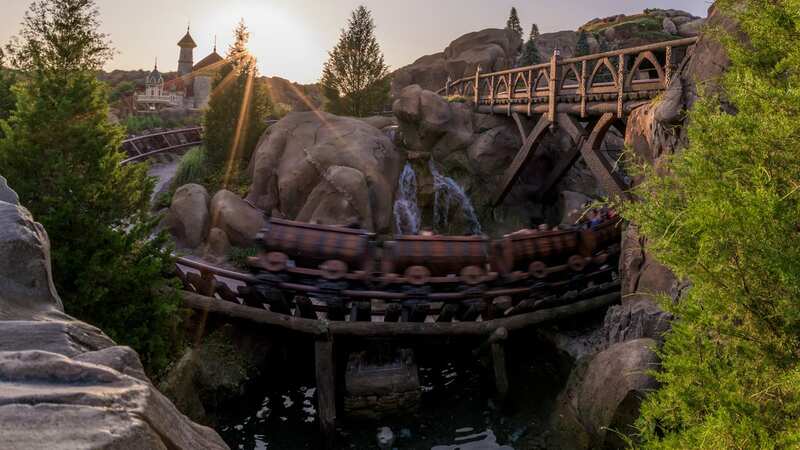 Who’s your favorite Disney cat? Let us know in the comments section below. 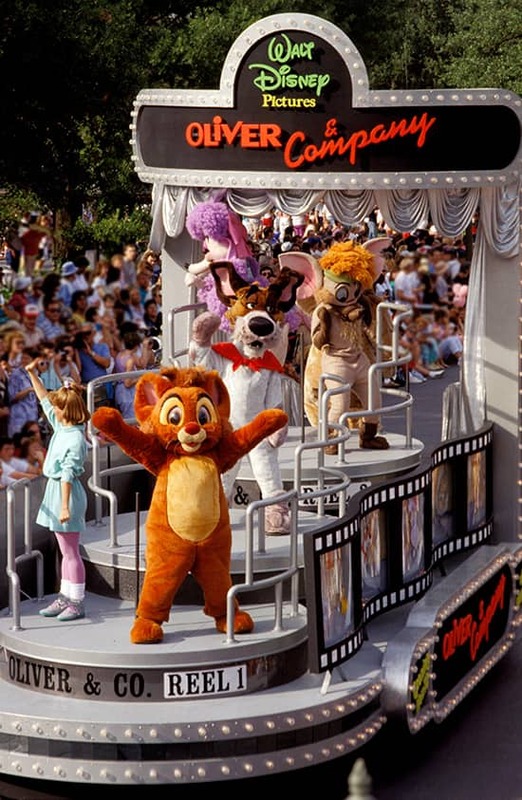 Share Disney Days Of Past: Remember ‘Oliver & Company’? yay love that you posted this and especially on hug your cat day. oliver and co. was one of my favorites as a child! I loved this movie as a kid. I was nicknamed Jessicat because of my love and collection of cats. You what I notice? Back then all the parades were less covered and cluttered. You could see the characters were the main focus. Also you could see them from almost any angle. I appreciate the new parade floats but I wish the characters were more visible. I love Oliver and Company . . . One of my favorite Disney movies of all time! Thomas O’Malley is my favorite Disney cat – definitely helps that he was performed one of the best Disney voice actors ever! As a kid I liked Figaro a lot, but really he doesn’t compare. Aristokitten Marie, of course! And Tokyo DisneySea’s Gelatoni is awfully cute. Dinah from Alice in Wonderland! That’s who I named my cat after! I love these character costumes. I wish more “rare” characters would make an appearance either in parades or for Meet & Greet. You used to see a lot of these characters in the parks, but now it’s the basic Fab5, Disney Princesses, Pixar and a few Villains. Please bring back these rare classic characters for us to meet. I named my cat Oliver after I saw “Oliver & Company” – it was one of my favorite movies back in the day. And favorite Disney cats? Where to start? Si and Am, Dinah, Figaro, Thomas O’Malley (my cat Oliver’s middle name), Duchess, the kittens, Lucifer, The Cheshire Cat, Rajah (he’s still a type of cat)… there’s so many of them to love – temperament and all! Oh my goodness! Georgette needs to be brought out as a Meet and Greet character. Love this so much. But come to think of it, we don’t really have that many -good- cats in Disney besides Figaro or the Aristocats, do we? I’d like to politely point out that the name of the dog is Dodger, not Roger.